Since releasing their first album in 2002, U.S. alt-rockers, Anberlin followed a pretty standard band trajectory. Slowly building a name for themselves album after album, they were ultimately signed to a major label, Universal Republic, which broke them into the mainstream after the release of New Surrender in 2008. From there, however, the relentless touring and pressure to top each previous record took its toll on Anberlin, who subsequently broke up in 2014. Now back for their first tour in 5 years, Anberlin have come to Australia a whopping, 14 times. Rare for a U.S. band but front man, Stephen Christian wouldn’t have it any other way. This changes the course of the interview as Stephen talks about rekindling old friendships, stoking the fire to perform again and the band’s love affair with Australia. Music Feeds: Anberlin disbanded 5 years ago (in 2014), what was the decision to break-up in the first place? Stephen Christian: Well basically man, it was a tough ending to a band. It was exhausting. We’d been on the road for the better part of 9/10 months for the past 12 years. There wasn’t any band drama or behind the scenes stuff going on but we were fatigued, our passion levels were at an absolute low. We had no interest in Anberlin because it just never ended. We were touring so much and spending so little time at home with our friends and family. We had quality of life. We had fame and notoriety and money and we were touring the world. It was incredible but we just felt lost. There was no time to catch our breath. When we all broke up, we all went our separate ways. Not because we didn’t like each other, but we just needed a break. MF: How did the reunion with the band come about? SC: About a year and a half ago, I started calling the guys saying, “hey, do you just wanna hang out with no ulterior motive?”. We ended up hanging out and had a great time. We realised that what we had lost was each other. We were friends since high school from 16/17/18 years old. We just felt like, we’ve gotta re-kindle and be a family again without the pressure of a record label, a lawyer, a manager and all the people that are involved when you’re in a band. 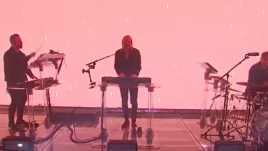 MF: You did a tour with fellow Florida rockers, Underoath, at the end of 2018. Is this your way of extending that tour? SC: When we did that tour, we didn’t know we were coming to Australia at that point at all. That was one of those things where we played the show and we realised we missed the energy, the connection and for me, I missed that moment of staring people in the face and allowing them to sing as loud as they could. It’s greater than any drug. It’s a bigger adrenalin rush than you could ever imagine. Not because I was the centre of attention but the whole room being unified for one moment, at one time, for one concise thing is just electrifying. So yeah, that set in motion a lot of different conversations that led us to coming to Australia. MF: You’ve toured in Australia countless times, which is a rarity for an American band. Being away for 5 years, how are things traveling in the build-up for this tour? SC: This is our 14th time going to Australia so we are well rehearsed in going down under. This time feels new again and the reason is because we’re all passionate, we’re all excited about it. Sydney is [nearly] sold out, Melbourne is almost there [too], the others are selling so well. We’ve been broken up for 5 years and it’s so humbling and it feels so surreal. We feel we’re living out someone else’s life, it’s an honour. I love it, I’m excited, I’m ready to go tonight! MF: What can Australian fans expect from these shows, a mixture of your best work over your whole discography? SC: We wanna play a wide variety. But honestly, the 3 albums that really connected with Australia were Never Take Friendship Personal, Cities and Dark is the Way and so we really wanna play stuff off those records. If I was gonna see a band that’d been broken up for five years and I wasn’t sure if I’d ever see them again, I wanna share the songs that I connected with, that meant a lot to me. I wanna play whatever Australia wants me to play, I don’t wanna play anything that I want to play. I’m just excited to go out there for the 14th time. MF: What is it about Australia that you love so much? SC: We’re just in love with Australia. We connected with so many fans, we know a lot by name. Just the places, the people and the experiences that we’ve had there are unparalleled around the globe. We said to each other, “let’s be together as a band and go to a place that we love to play together.” We’ve turned down tours for Russia and other parts of Europe. We’re not just trying to make it big. We’re just trying to have the best time in life and be our best selves. Australia, that’s where we’re going! MF: I know you, Stephen, are part of an acoustic side project, Anchor & Braile and the rest of the guys too with various bands (Carollhood, Sins, Loose Talk). 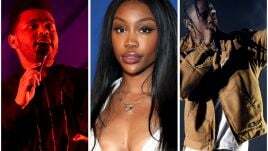 Is the plan to continue releasing music with these side-projects or are you planning to have a break from music following this tour? SC: I’m all in. I definitely wanna put out an Anchor & Braile record. I would love to put out an Anberlin record but that would be a really selfish thing because we probably would never tour the record. I doubt there will be another Anberlin record but I will write music as long as someone out there listens. MF: What about your other bandmates? SC: I have no idea. I know that Carollhood is just a fun project for Nate (and Tim McTague) but I think Loose Talk wanna tour around the globe. I can definitely see them going on to make more music. MF: Looking at the dates you’re playing in Australia, have you played at any of the venues before? If so, how do you find live music venues in Australia? SC: Definitely. I know the Forum in Melbourne and the Enmore in Sydney are venues that we’ve played before, Adelaide is not. They’re all pretty similar in that everybody there is really drunk. That’s the common denominator. Honestly though, they all have the same feel and the same excitement. Listen, if your city is on that list, that means we absolutely love you. Again, we’re not trying to get big, be famous or make tonnes of money. We’ve connected with those cities and we feel like the fans there have connected with us as well or we wouldn’t be going there. 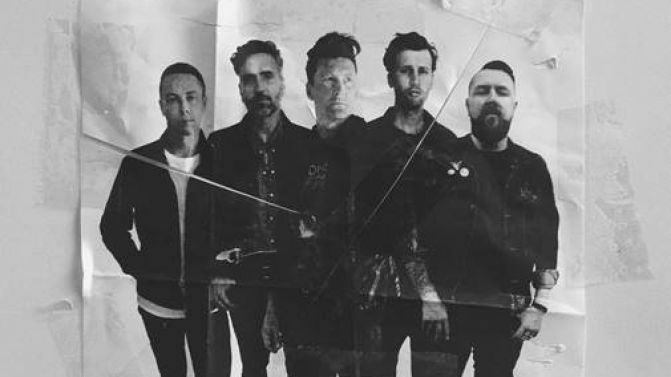 Anberlin’s Australian tour kicks off in May. Dates and ticketing details below.